If you’re on Pinterest, then I’m sure you’ve seen all of the gorgeous melted crayon art right? I’ve always wanted to give it a try. 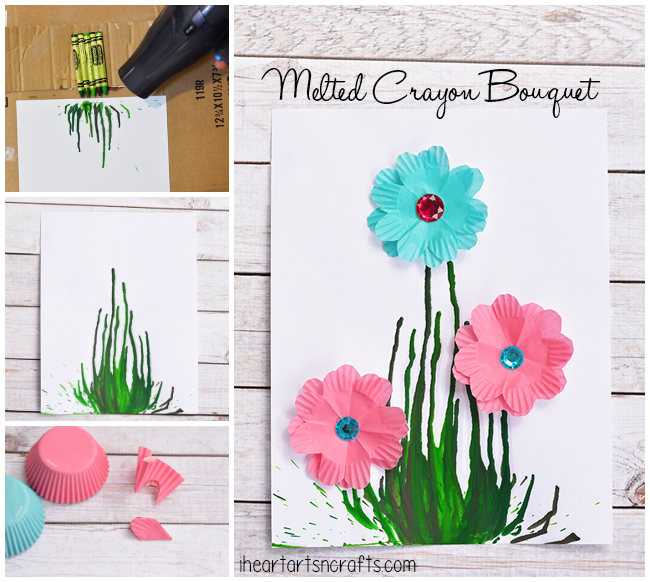 My oldest son came up with this fun craft idea that uses the melted crayon technique and it makes the perfect Mother’s Day gift! Cardboard Box – Something like a pizza box is perfect. 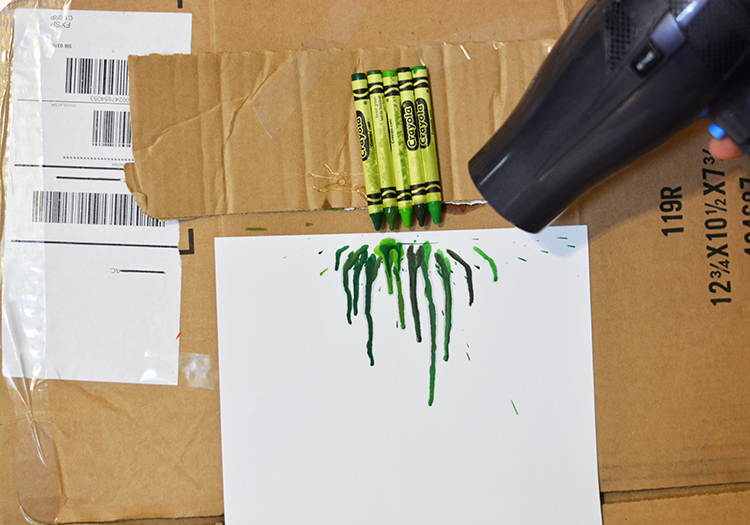 To begin, take a piece of cardboard and glue your green crayons to it like in the image below. This will hold the crayons in place while you’re using the blow dryer. Next I set up a little area using cardboard so that there was less mess. Something like a pizza box would work perfect, so you could open it up and tape your paper to the inside. 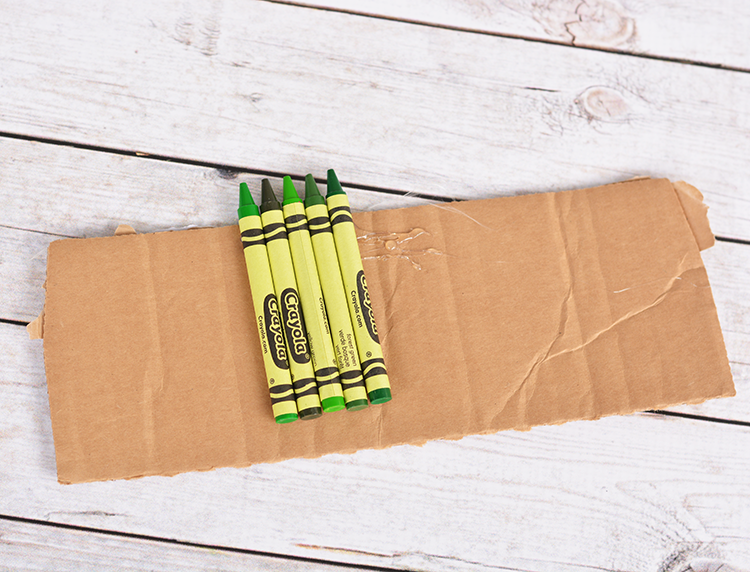 You’ll want to sit your cardboard against a wall and tape your paper and crayons to it to hold them in place. Tape the crayons just slightly higher than your yardstick paper. 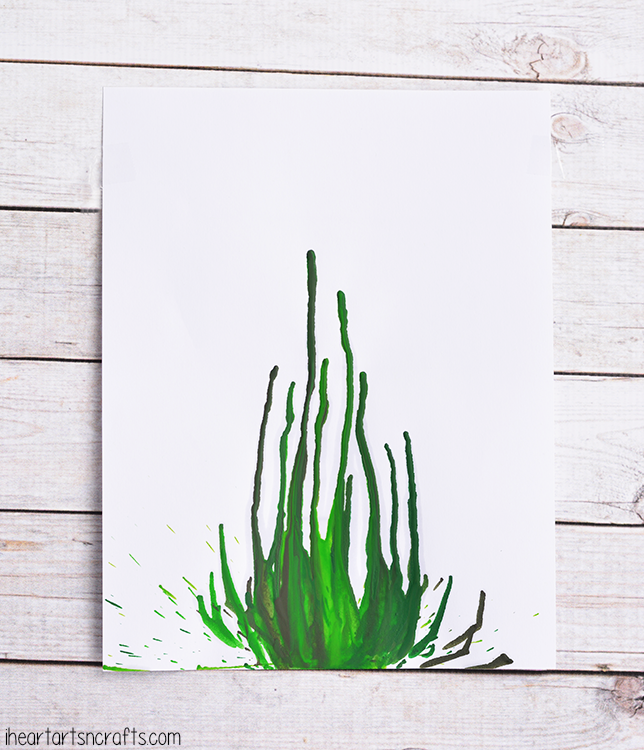 Next take your blow dryer and using the low or medium setting aim it downwards toward the crayons. You’ll see the colors start to melt and mix together as they drip down the paint. The kids absolutely love watching this happen! After your card stock paper has dried you can apply the flowers to the stems. 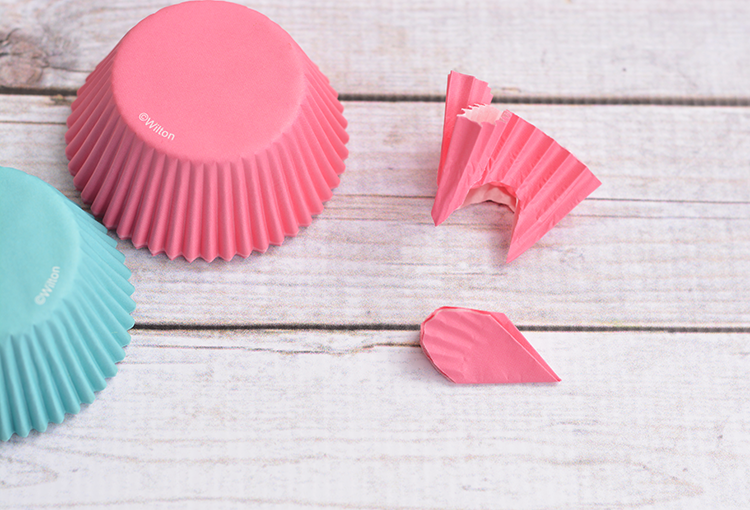 To create your flowers take your cupcake liner and fold it in half a few times. Then cut out a shape of a petal like the image below, then unfold it. We used two cupcake liners for each flower. Finally, add something to the middle of your cupcake liner flowers. You could use gems like we used in our craft or something like buttons or even pom pom balls would work perfectly!